what causes varicose veins to bleed? 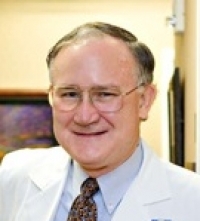 » Watch Next Video by Stephen F. Daugherty, MD, FACS, RVT, RPhS - Do varicose veins worsen over time? What causes varicose veins to bleed? Sometimes a varicose vein will bleed out through the skin. The reason is from very high pressure in the veins. If one imagines the force of gravity pushing blood down from the chest and the abdomen all the way down the leg when there are varicose veins allowing that blood to run down that you get very high pressure in these veins near the ankles. That high pressure in these veins will cause the veins to stretch, the wall will get to be thin, the skin overlying the vein may become very thin so that even very minimal little trauma to that skin will cause the vein to rupture and bleed.